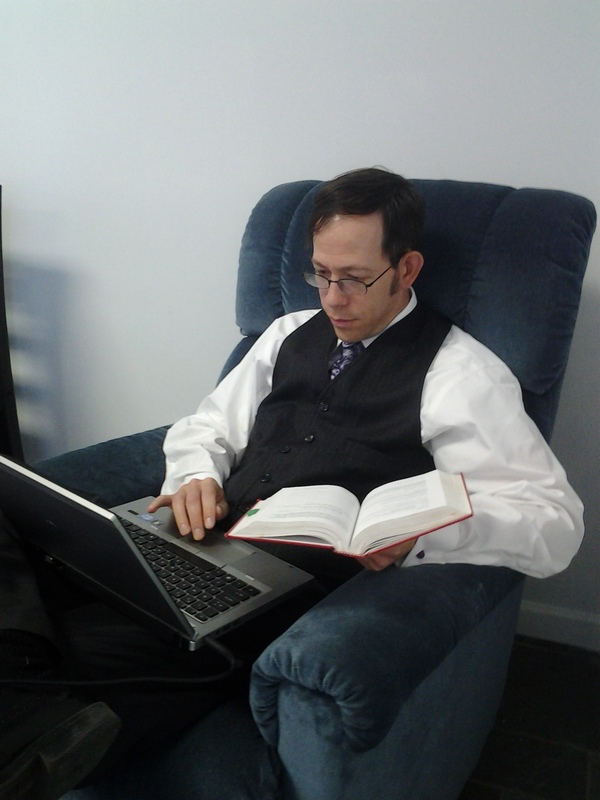 I’m a layman within the Episcopal Church with a Ph.D. in New Testament and an interest in most things medieval, monastic, and liturgical. My chief job is keeping up with my priestly wife and our two awesome girls. In addition to that, I teach computer science and algebra at a Catholic girls’ school, run the St Bede’s Breviary, listen to loud goth/industrial music, and do some stuff for the church. I used to serve on the Standing Commission on Liturgy and Music. I can explain my life rather simply: during the day, I work my day-job; in the evenings, I drive the girls around the city; at night, I write. In my spare time (ha! ), I enjoying distance running, cycling, martial arts, cooking, and brewing my own porters and stouts. For another take on me, here is an interview that Richard Mammana and I did for The Living Church. 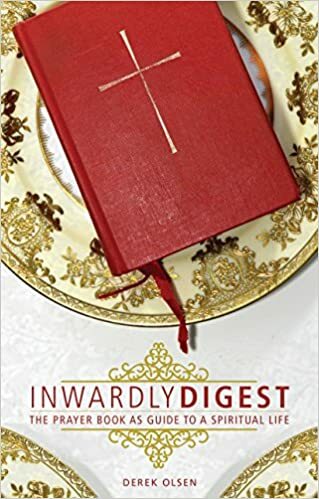 Am reading “Inward Digest” for Lent. Sent a copy to my aunt also. We both love your book! I belong to an Episcopal Benedictine non-traditional community and pray the Daily Office using the St. Helena’s Breviary. Your writing on the Daily Office is especially wonderful to me and your detailed explanation and study of the Collects is great also! Thank you for producing such a delightful book. Very much enjoyed your article in The Living Church (3/26/17)! Would love to be in touch if you have time for correspondence, but certainly understand if you don’t. Blessings on your work. Is there a way I can get in contact with you? I will be writing a Thesis on Benedictine Monasticism, and your Psalms and Monastic Education article was interesting. I am curious if you could send me a copy of your bibliography so I can check out your resources for my own research. Have you considered uploading The St. Bede’s Breviary to an online publishing company that can sell it in four volume sets even if only in paperback? Sometimes I’m “in the jungle” and lose my cell or wifi contact and don’t want to miss my prayers. If not, do you have a close comparison you can recommend? I use the Jim Coates Prayerbook App when I don’t t have connectivity because it is downloaded into my iPad memory storage and never disappears. I know the Catholic Breviary has a bound four volume set as well as the app. It seems since you have gone to the trouble to compile the Bede app that it might not be hard to do. Print each page on paper. I like how the Jim Coates is done because the whole day of BCP appears for the lay person each day. But it is not the monastic Divine Office. A person can go backwards and forwards on dates or choose any calendar date. I learned quite a lot when I read your book Reading Matthew With Monks. On page 65 you mention something that piqued my curiosity. I wonder if I might ask you about it. On the subject of Bede and his biblical commentaries, you note that in these works “with a set of marginal references, Bede seems to have invented and pioneered the use of the source footnote.” Can you point me in the direction of specific manuscripts for me to examine to get a sense of exactly how the mise en page incorporates these marginal notes? Sometimes the quotes are offset by lines or squiggles in the margin–not so here. Many Bede’s later copyists didn’t follow his instructions and so the footnotes aren’t always well preserved: to me, this looks like these may have been added by a later hand, not that of the original scribe. Hope this helps! FYI: You probably know about this which I’ve been watching on eBay for a year or so. I’m not so inspired to put a hundred smackers on it. Many thanks for your work and sharing it online.